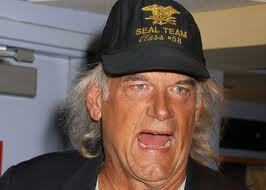 Another Jesse Ventura Punching – This One’s in the News! Guys, this is awesome! Word about this blog is spreading fast, and someone who knows someone who knows someone I know sent me a link to a video of SOME DUDE WHO PUNCHED OUT JESSE VENTURA. So now it’s going mainstream! Too excited right now to figure out how to post the video but if one of you will in your comments that would be awesome! Now I’m finding multiple videos of this guy. He’s everywhere! More to come, it’s really late here.